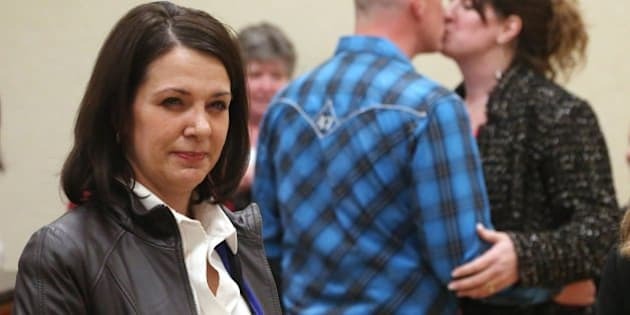 After a series of nerve-rattling and stressful moves, it seems like Alberta's former Opposition leader, Danielle Smith, has had enough. Smith almost formed a government in Alberta, then famously crossed the floor in December 2014, then tried to fight for a seat and lost, and is now retiring from political life after sending a rude, offensive text to a Global News reporter. Global reporter Vassy Kapelos tweeted that she texted Smith to ask whether she would be available for an interview about her loss Saturday in the nomination contest to represent the Progressive Conservatives in the Highwood constituency. Smith responded she wouldn't be available and that she was "leaving public life." Smith lost the Tory nomination in Highwood to Carrie Fischer, a town councillor in Okotoks. Smith said after the loss that she still believes switching parties was the right thing to do and she has no regrets about crossing the floor. She also said she has no immediate plans but intends to join her parents on a trip to Mexico in May.